Benjie and Tegan playing covers of Townes, Blaze, Gillian Welch, Hayden, and more! 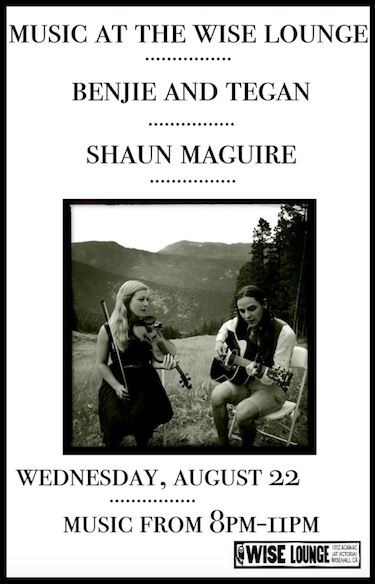 Shaun Maguire is also playing and he’s gonna do some covers and some originals. Music is from 8 – 11pm with breaks between sets. Cover is a $10 suggested donation. WISE members get in free. It’s gonna be FUN!